In order to better serve our clients, we have convenient locations in the Denver Metro area (Edgewater), Colorado Springs, Castle Rock and Pueblo. When you come to Vigil & Alford, PLLC, you will be treated with respect and dignity, and you will be more than just a case file. Our lawyers, Jimmy Vigil and Kim Alford Everette, have successfully resolved many personal injury cases from car, motorcycle, and trucking accidents to premises liability/slip and fall accident. They also are passionate about representing our military, offering discounted rates as well as legal guidance with Traumatic Service Members' Group Life Insurance (TSGLI) claims. With offices in Edgewater (Denver Metro), Castle Rock, Colorado Springs and Pueblo, Mr. Vigil and Ms. Everette offer a free initial consultation and they can meet you somewhere convenient if you cannot come into an office. Contact us today to schedule your consultation. Jimmy Vigil comes to work every morning ready to “put on the gloves” and fight. He is dedicated to fighting for injured victims to recover just compensation from national corporations and insurance companies. He places emphasis on establishing effective communication and supportive relationships with each client. He understands that each case is unique and that every victim needs to be heard. He approaches every case with confidence and skill and strives to seek the best results for all of his clients. Born and raised in Colorado, Kim Alford Everette is dedicated to providing effective and professional legal representation at her Colorado Springs, CO, office. She is also very active in the community, belonging to several professional and community organizations. Her reputation as a dedicated attorney allows her to establish trust with each client, no matter their unique situation. With experience in a wide range of personal injury and medical malpractice cases to workers' compensation and TSGLI claims, she is confident that your best interests will be protected. “I am so happy that I used Vigil & Alford to represent me for my TSGLI claim. I had been waiting more than a year and when they began to represent me, my claim was approved and paid in weeks. If you are a service member or veteran who needs help with your TSGLI claim, this is the firm you want to call. A rider to Servicemembers' Group Life Insurance, TSGLI distributes compensation to servicemembers who were seriously injured on or off duty and who have experienced a life-changing loss from the traumatic event. Many servicemembers are unaware of this benefit and may not receive the compensation they deserve. Our attorneys are extremely familiar with the TSGLI claims process, can determine whether or not you qualify, and can guide you through the application process so you can begin living the life you deserve. Thousands of individuals sustain dog bites each year. Our attorneys can hold dog owners liable for your injuries and collect due compensation. Snow and unpredictable weather result in numerous car accidents each year. 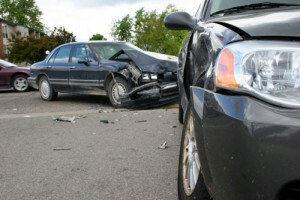 We can work to collect compensation for your damages. If you were not warned of unsafe conditions that caused your injury, we can hold owners liable for your damages. If you have experienced injuries from a defective product, we can hold the manufacturer responsible for your damages.